3 GOLDS, 5 SILVERS and 3 BRONZE medals!!!! I think we can confidently say that Canada knows what the ONDC can do. 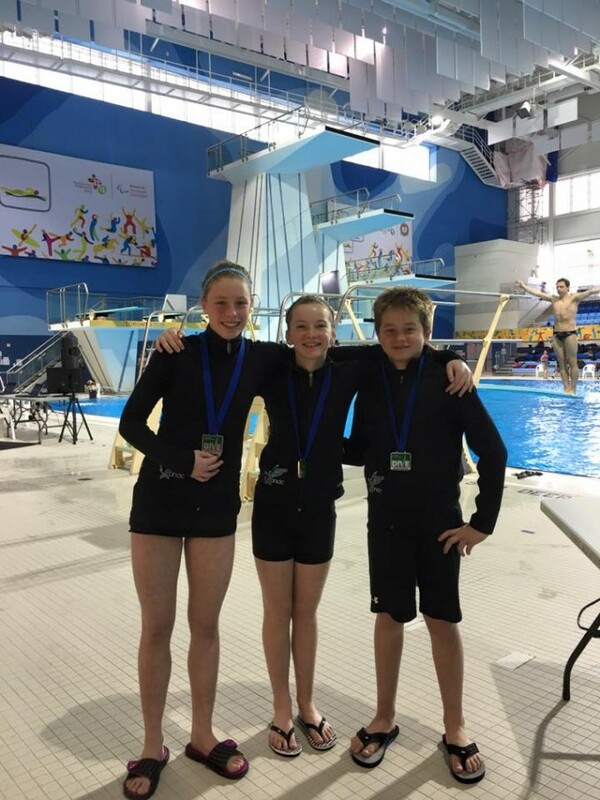 This past weekend was the Ontario Spring Provincials held at the Toronto Pan Am Sports Complex. This competition was well attending by athletes across Canada as it was the trials for the Canada Cup and Puerto Rico Grand Prix events. A quick thank you and congratulations to Dive Ontario for running such a smooth event after dealing with many issues the week before the competition. Our ONDC athletes gave amazing performances throughout the 4-day competition finishing off the weekend with a grand total of 3 GOLDS, 5 SILVERS and 3 BRONZE medals!!!! Other important placements to mention was for Emma Corrigan’s 8th place finish in the open tower event and 7th place finish in the open 1m event. These events were the trials for the grand prix. She competed against Canada’s best athletes including Celina Toth who recently returned from the World Cup in Rio! Emma, the youngest athlete in the events, showed that she can compete with the best of the best narrowly missing a SENIOR NATIONAL score by 15 points on the 1m event but competing in the finals for the tower event. 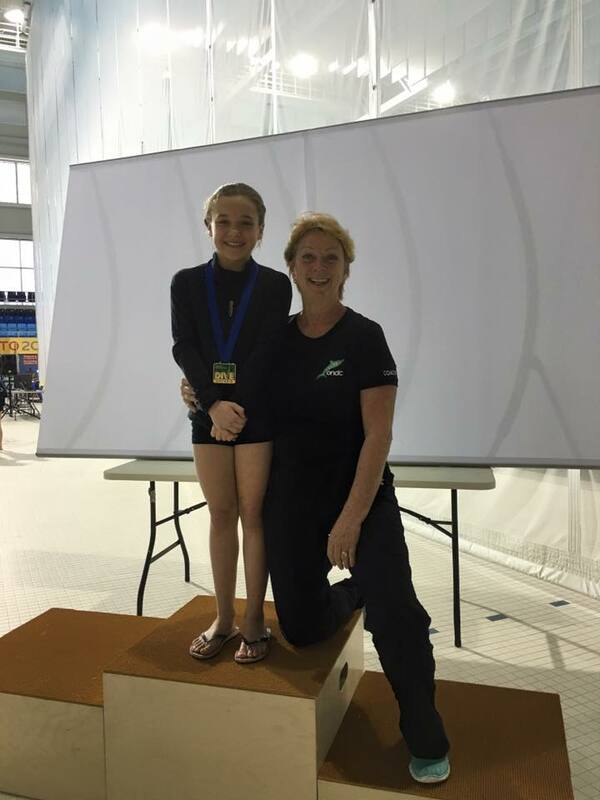 Amazing job Emma and what great diving experience for a young athlete! Our youngest athlete Catherine Boyer showed excellent performances over the weekend along with a couple hard learned lessons. Overall she finished the weekend with 2 out of 3 of her national scores and is OFFICIALLY qualified for the Junior National Championships for the very first time!!! We are so proud of you Cath! We can never say enough about Tim and Kathryn’s performances. Everywhere they go they always show that they are true contenders in every event. Tim, debuting a few new dives on 1m and tower also posted the top total score for an Ontario Athlete in his age group. Well done Tim! Kathryn showed an amazing performance on tower debuting her new back two and a half from 7 metre. This final dive solidified her gold medal winning performance earning 7.5’s on the dive and showing her competition why she’s the one the beat on tower in her age group across the country! Keep up the good work guys! Although results are important, it is the little things before and after the competition that make us proud coaches! One of our saying at ONDC is “Win like a champion and Lose like a champion.” That means that no matter the outcome, you humbly congratulate everyone in the event on their performances. Sportsmanship is one of the fundamentals in our club and our athletes could not have demonstrated this any better over the weekend!